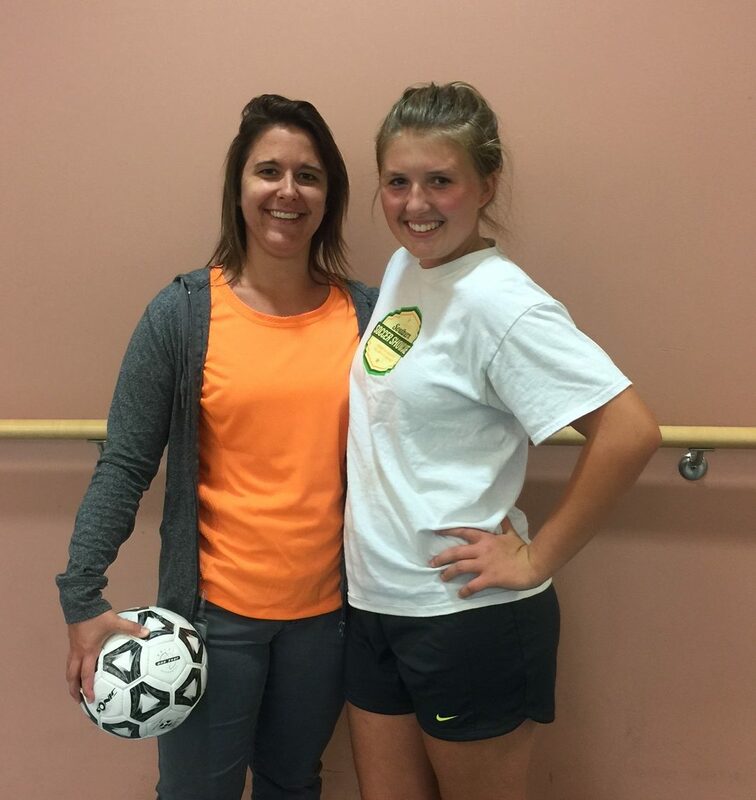 Jessica Cybulski, PT, DPT and her patient, soccer goalie Shelby, who wants to return to her sport. This week is National Rehabilitation Week. It was created by the National Rehabilitation Awareness Foundation to educate people about the impact and benefits of rehabilitation. According to the Association of Rehabilitation Nurses, for every $1 spent on rehabilitation care an estimated $11 is saved on long-term disability costs. “Everyone wants to be independent and have an excellent quality of life,” said Mary Pat Johnson, PT, DPT, Clinical Director of Outpatient Physical Therapy at Bacharach’s main campus in Pomona. Rehabilitation serves as a bridge between people suffering from a disabling disease or traumatic injury and better function and health. Specializing in stroke, spinal cord injury, brain injury and sports medicine, Bacharach’s team of clinicians works together to craft an individualized care plan to help patients get back to their daily lives. Most Americans will require at least one rehabilitation service at some point in their lives. During National Rehabilitation Week, Bacharach joins rehabilitation providers throughout the nation in recognizing the role of rehabilitation in helping people to live independently. Bacharach Institute for Rehabilitation, the region’s most awarded acute medical rehabilitation hospital, has been serving the community for more than 90 years. Bacharach has two inpatient settings as well as 17 physical therapy centers in South Jersey.